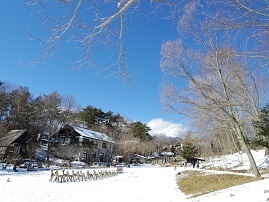 I woke up late and arrived at Kiyosato ski resort around noon so…the parking lot was full and there was a one kilometer long waiting line. 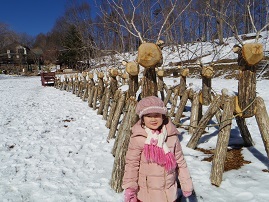 I changed our plan and went to “Moegi no mura”, a village of small shops. 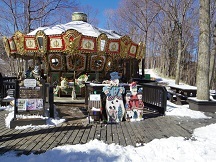 There were lines of reindeer made with white birch pulling a sleigh and a merry-go-round in the snow field. 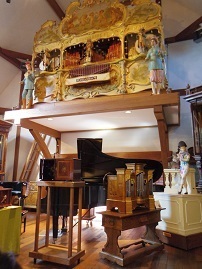 We enjoyed the music of a huge musical box. We couldn’t do skiing but enjoyed an easy and slow time playing with snow.